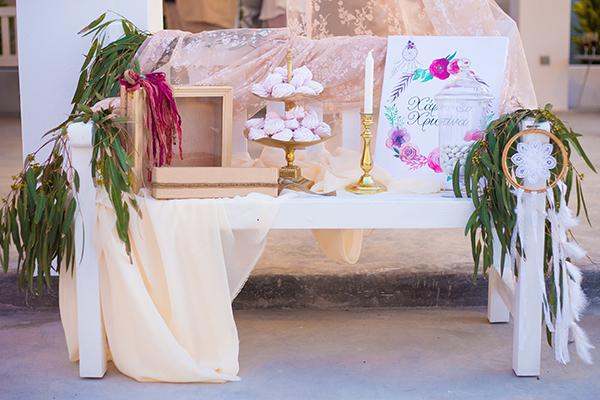 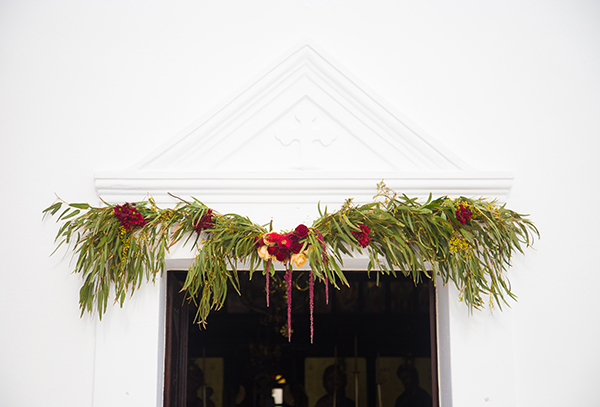 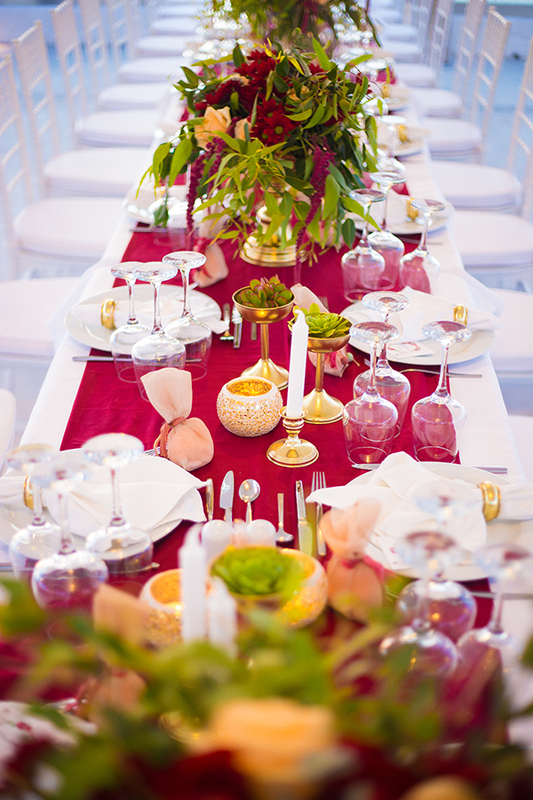 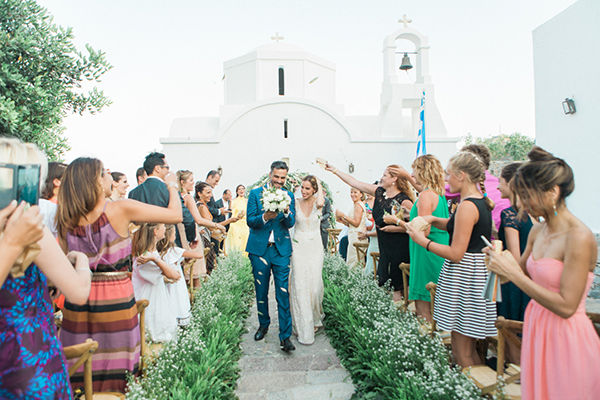 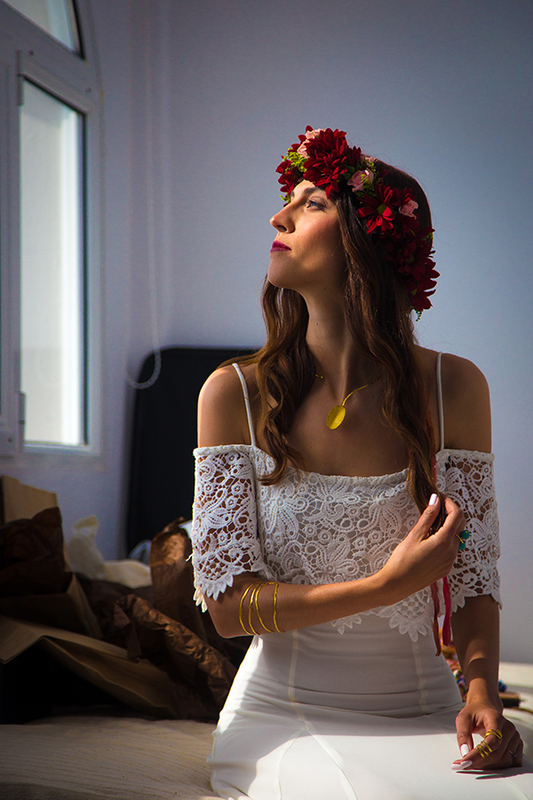 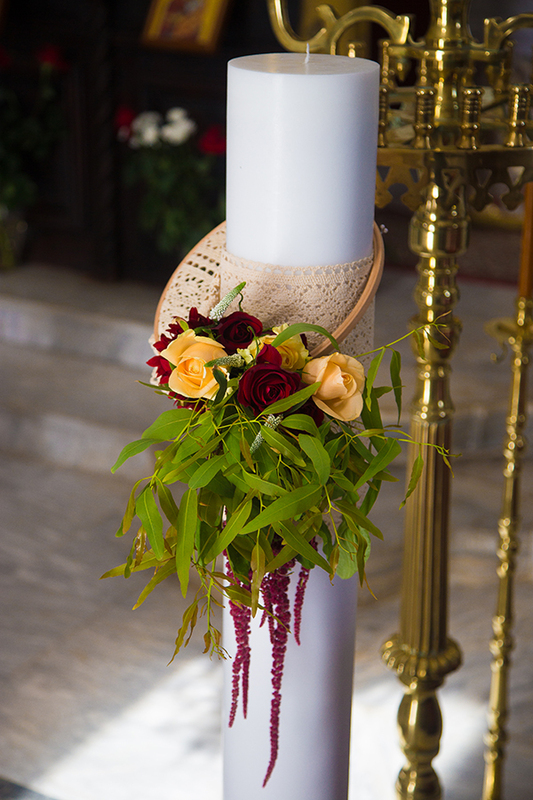 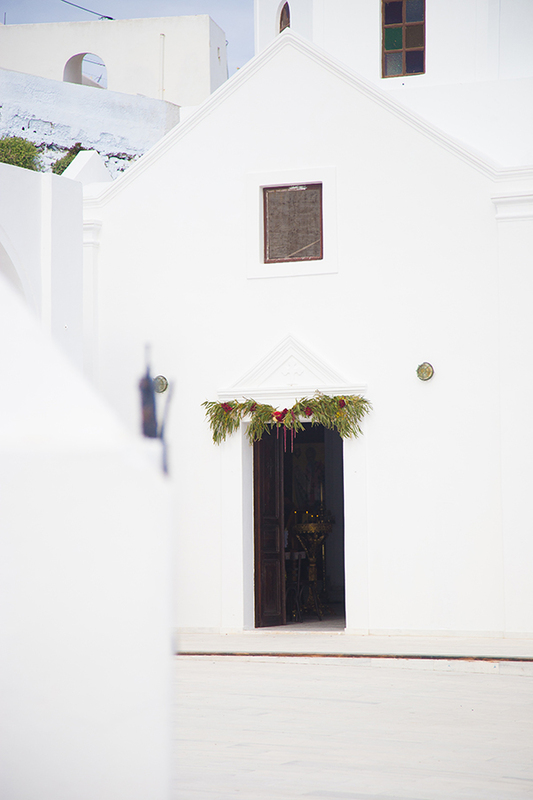 This bohemian wedding with gold and marsala details in Santorini is just beautiful! 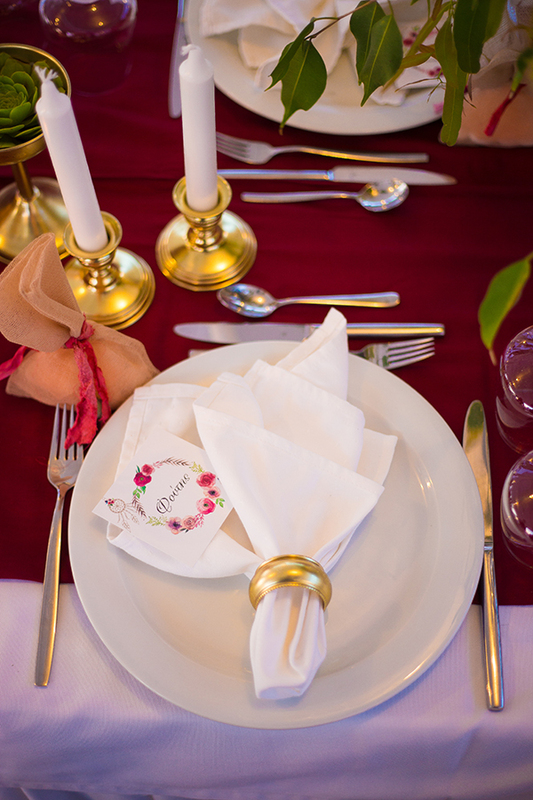 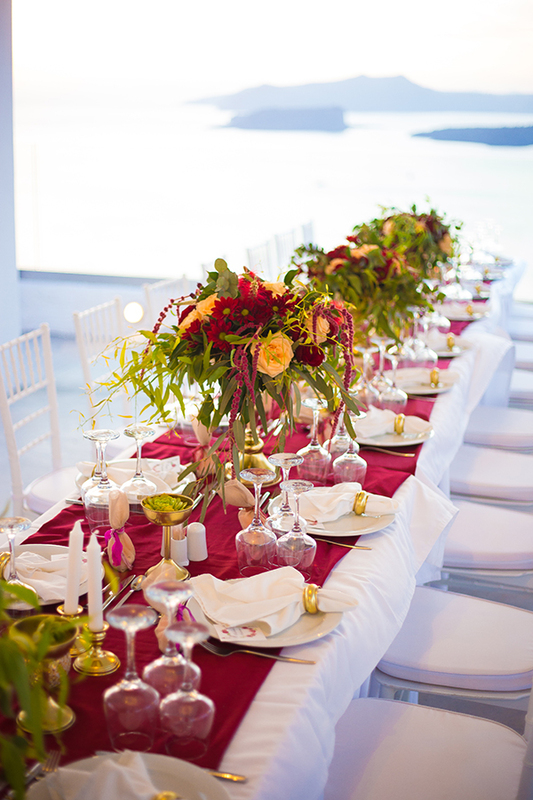 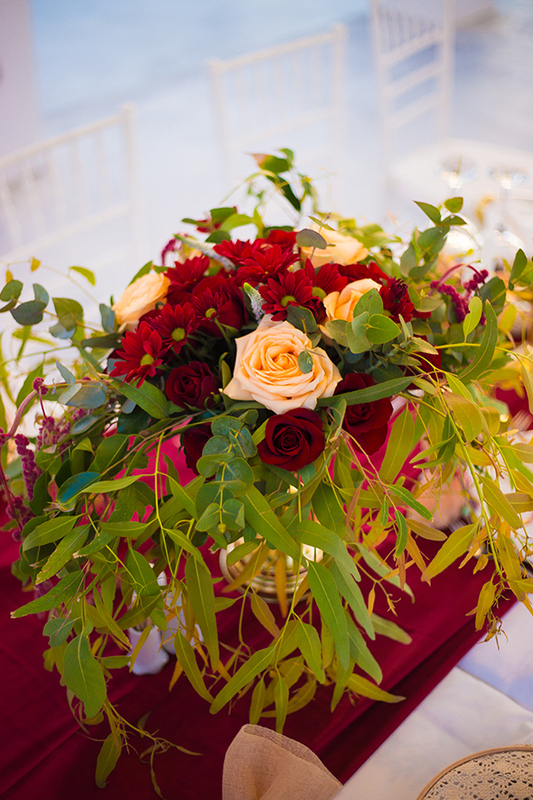 You are going to love the beautiful floral arrangements and the gold details on the tables! 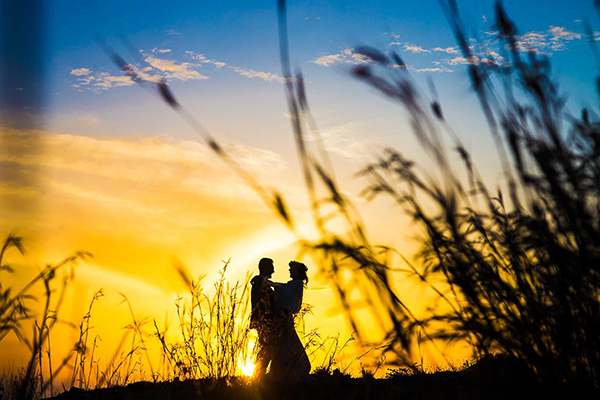 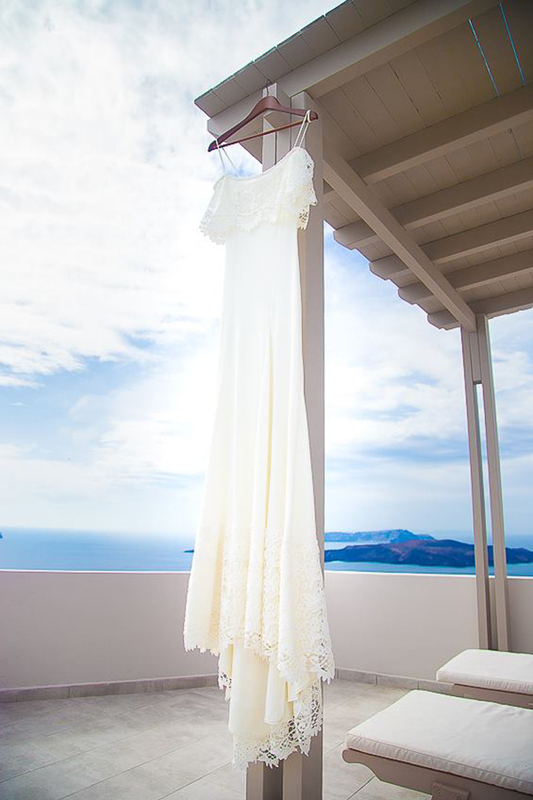 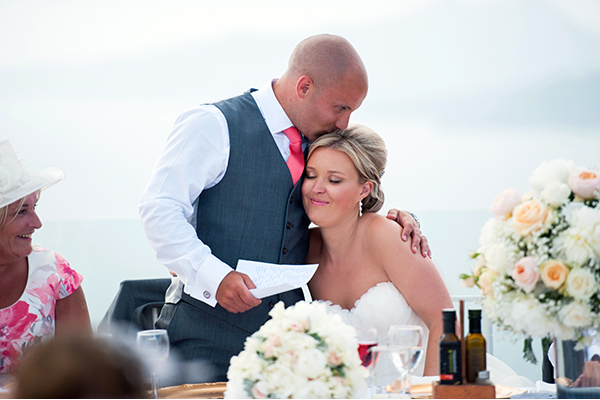 “Christina always daydreamed of having her wedding in the magical island of Santorini in the Cyclades. 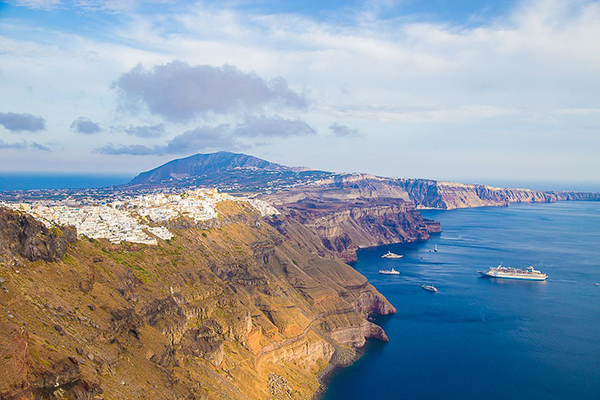 Santorini has a magical aura to it, many say it’s because of the volcano and the energy it lets out, but there is a myth about Santorini Island that all us locals know and that is that the first time you lay eyes on this island its energy is either going to keep your heart here forever or you will never come back, and more often than not the first applies to all. 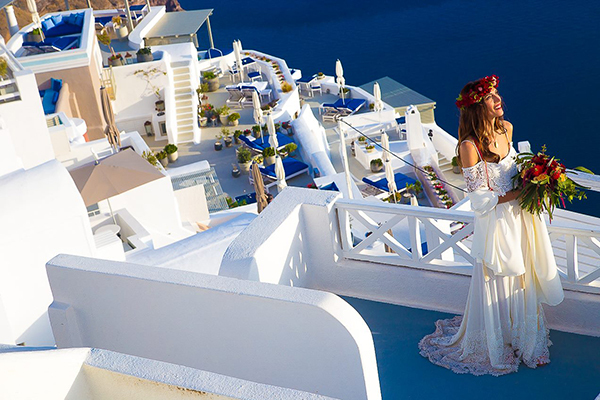 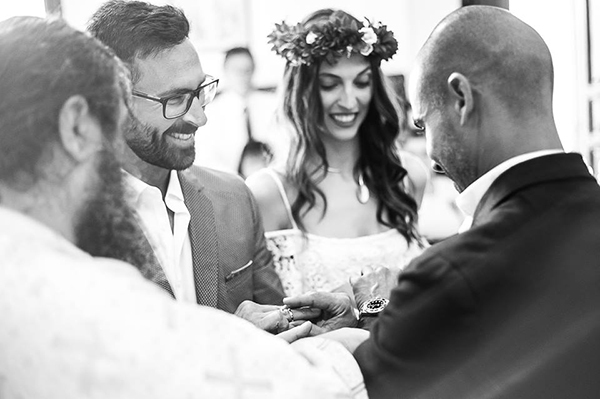 Harry & Christina contacted me about their dream destination wedding in Santorini and we started planning immediately. 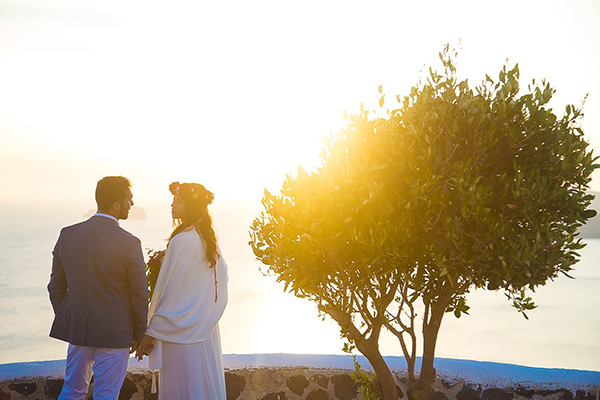 From the beginning they knew exactly what they wanted, they were in love with each other more than ever before and the most important thing for both of them was becoming husband & wife”. 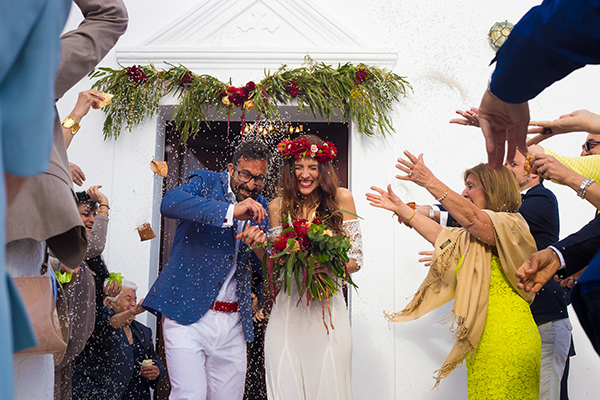 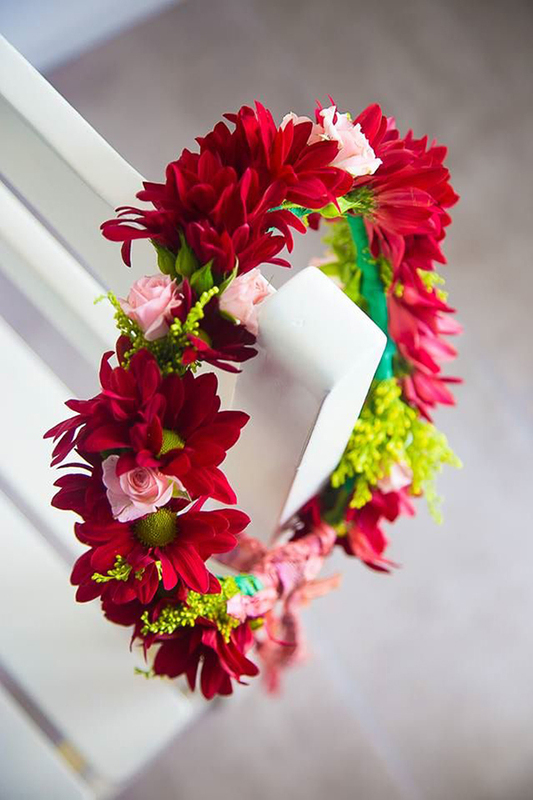 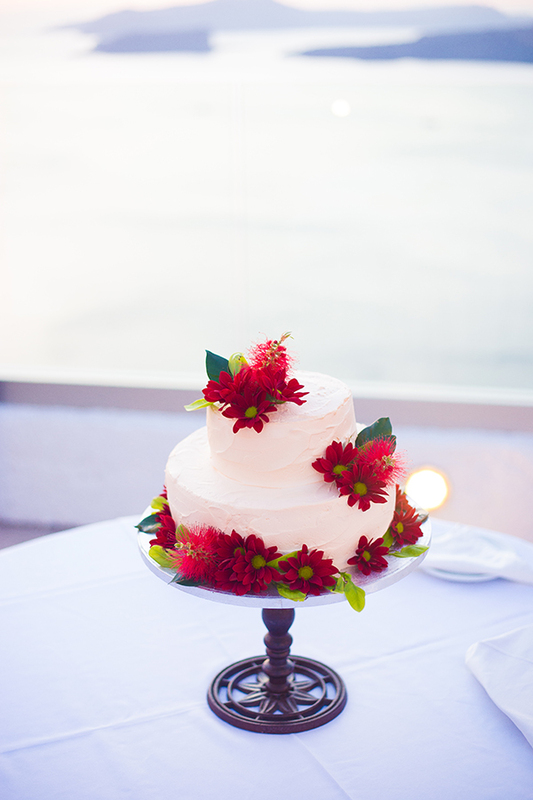 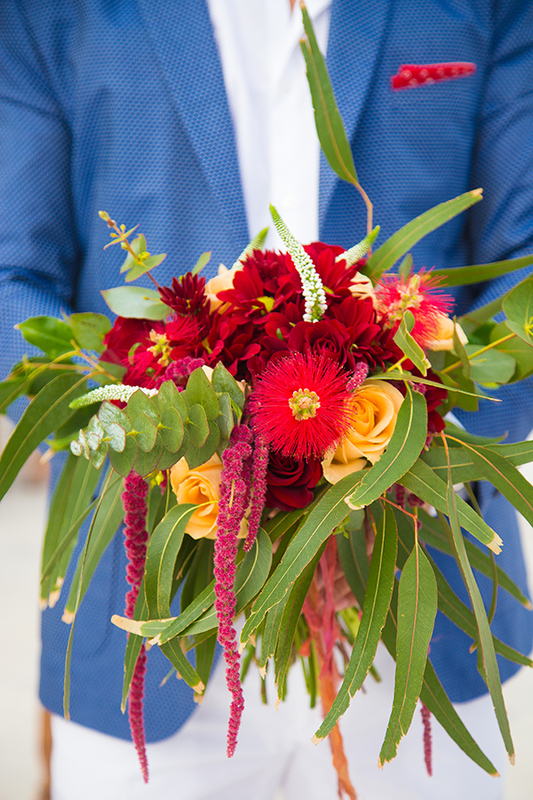 “There whole wedding had a more laid back, fun and bohemian feel to it. 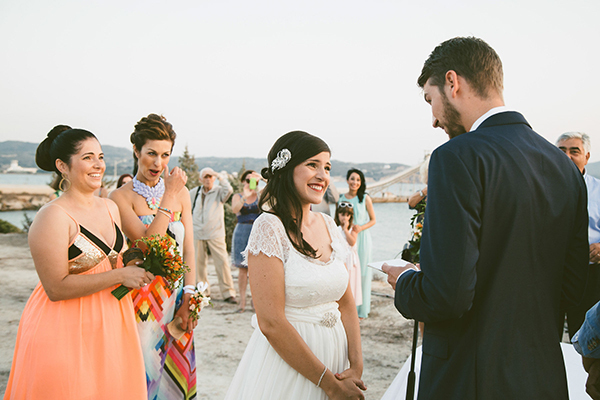 Christina looked stunning in her bridal gown and floral crown and Harry couldn’t stop staring at her all day long. 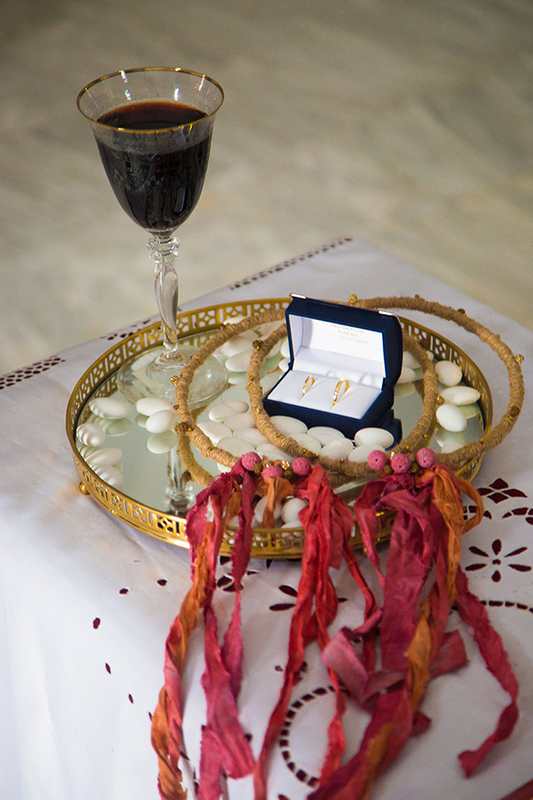 It really was magnificent to watch all their emotions pouring through such subtle details. 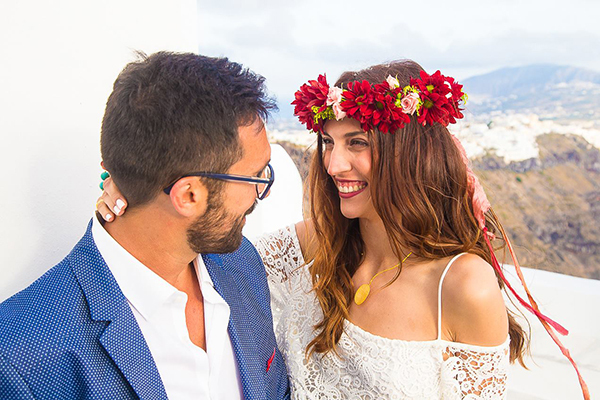 We held the wedding ceremony at Anastasi in Imerovigli, overlooking the Caldera and Skaros Rock and then there was an intimate family dinner at Caldera Dolphins. 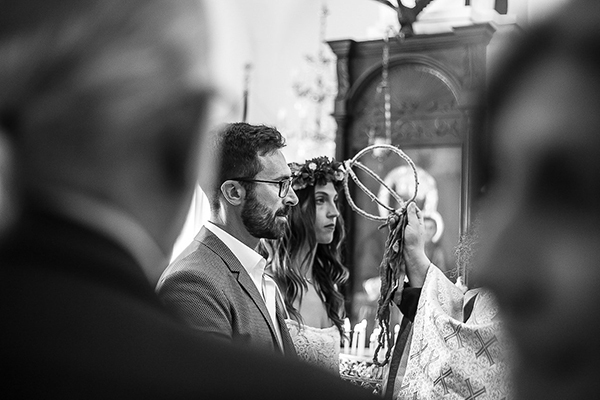 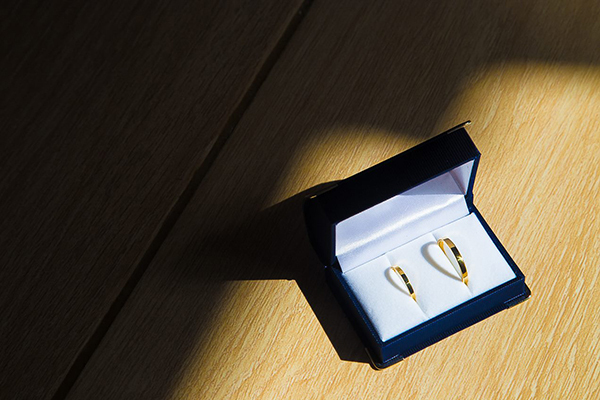 The whole day had an utter romantic intimate feel to it yet at the same time it was literally like being with family on a special occasion, no pressure, no nerves…..everyone really enjoyed themselves and everything just came so naturally to all”.